If you’re a writer, it’s always good to have passion. 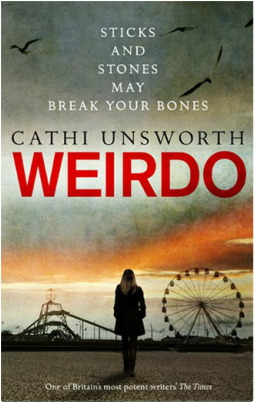 Today’s guest on the blog, Cathi Unsworth – writer of crime, queen of noir, and generally funky (and lovely) lady – has it in spades. Hers is for music, a passion which landed her a job on the iconic music mag Sounds at the age of nineteen and later on Melody Maker. Now, with a clutch of crime novels under her belt (The Not Knowing, The Singer, Bad Penny Blues, Weirdo) music is still an enduring influence. David Peace calls her the author of the Great Punk Novel. Here, amongst other things, she talks about how music helps her access the settings of her novels. 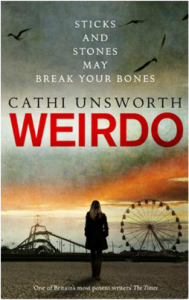 Cathi’s latest book Weirdo is set partly in the 1980s in a bleak Norfolk seaside town which is based on Great Yarmouth (you can practically taste the candy floss). It’s a riveting read and there’s a free copy to be won by one random commenter. Please leave a comment by the end of Friday 9 November and we’ll get it in the post to you. You were nineteen when you first started in music journalism. How was it working on those iconic mags like Sounds and Melody Maker when you were so young? Was it as glamorous as we might imagine?! It was unbelievably exciting to find myself working for Sounds when I was only nineteen and still at college. I had a great editor there, Tony Stewart, who assembled a really bright team of writers – and I am still really good friends with a lot of them, even still working with a couple of them at my current day job! We have moved down Camden High Street about half a mile since then, but it really is a world away. That was a time when we still used the hot press and you could just ring up people like Joe Strummer and John Peel to do a quick interview and they wouldn’t mind – which seems incredible compared to the tightly PR’d world of today. I used to try and see at least two different bands a night – I can hardly believe this now, but I was very young and full of enthusiasm. With Melody Maker I got a lot of trips to America, and was very fortunate to be shown the best parts of that country by people in bands, some really warm and incredible folks. In 1991, when Nirvana suddenly made it big, a lot of the bands I liked suddenly found themselves receiving major record company interest, hence the likes of me got flown over to talk to them. I have very good memories of those days; I think I was young in a special time for music. Sadly it didn’t end very well and the world has turned completely now, into one designed by Simon Cowell, who reminds me of the impresarios of the Fifties, like Larry Parnes – but to the power of a billion. There are still a lot of good bands out there, bubbling away under the surface, and some interesting scenes going on, particularly in East London, that have nothing to do with corporate rock and TV pop. But music doesn’t seem to have the same importance and power that it did in my youth. Or maybe I am just an old git! Music is clearly a big influence for you. How does that come to bear on the novels you’ve written/are writing? My first book, The Not Knowing, was really written out of a desire to document a time and a place – the Camden/Ladbroke Grove/Soho of the early Nineties, when I was a young journalist, before that world disappeared into the ether. Then, I wrote about everything I loved and hated about the music industry in The Singer, which was about how psychopaths flourish in that world but also about the brief period of time, punk and post-punk, when young, working class people really got to turn their lives around through music, and didn’t have to follow the predestined route down the pits or onto the factory floor. With Bad Penny Blues, music played a different role – it was through the music of the era I was writing about, 1959-65 that I got to imagine my way into the landscape of a London I had never actually seen. Then in Weirdo, it’s the music of 1983-84 that made such a pivotal impression on me as a teenager that I have embedded as my soundtrack. I really try to create a world that music is an integral part of – we all know that, apart from smell and taste, music is the most powerful way to bring back memories or evoke emotions and locations. And I have also enjoyed working with musicians Pete Woodhead and Paul A Murphy on soundtracks for my writing, some of which you can hear on my website. And how do you juggle writing and journalism now? I have to be really disciplined. I work four days a week as a sub-editor on four magazines and the other weekday is never entirely filled with what it is supposed to be set aside for! So I try and do a little bit each day. The best advice I have ever been given, by another crime writer, Ken Bruen, was to write two pages a day, every day, and in the end you will have a first draft in six months. This really does work and I would recommend it to anyone finding it hard to juggle their time. This way, two pages is like a little soap opera you can come back to, not some huge, daunting pile of paper. Derek Raymond. I met him when I was working at Melody Maker and he made a record with my favourite band, Gallon Drunk, a soundtrack for his book I Was Dora Suarez. Derek – or Robin, to use his real name – was such an inspiration to me. Dora itself was a revelation – I hadn’t realised the crime novel, or black novel as Robin called it, could be used this way. It was the victim who was the most important person in the story and the investigator was like some kind of avenging angel. Robin wrote about the important issues of life that we have been struggling with from time immemorial – basically, why does evil exist? Why can’t we ever live in peace? Is it because we are always ruled over by psychopaths and idiots? And he did it with such an energy, I thought he was the Johnny Rotten of crime fiction and I just wanted to be like just him. Walking, reading, listening to music and seeing it live, gardening, cooking and eating. If I can do all of those things in one day, and a bit of writing, then that was a good day. Much of your writing is set, partly or wholly, in a different historical period (the 1960s in Bad Penny Blues and the 1980s in Weirdo). Can you tell us what draws you to these past eras and how you go about conjuring those worlds? 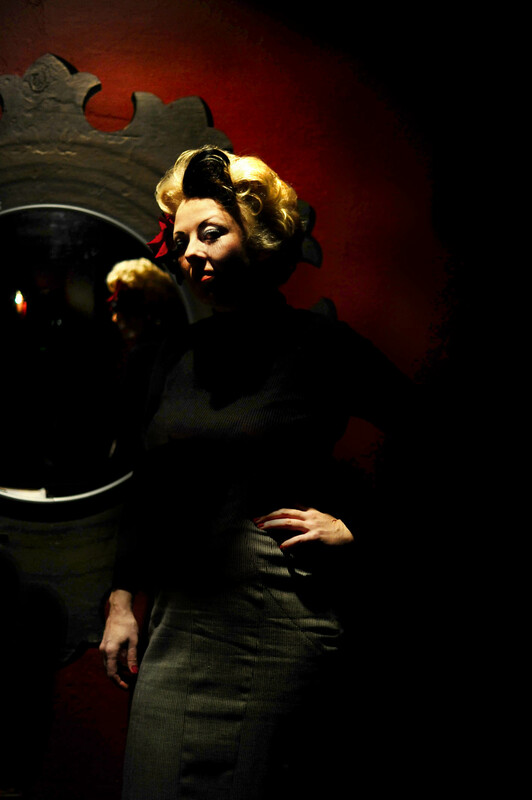 Bad Penny came as a direct result of reading a true crime book, Jack of Jumps by David Seabrook, about the so-called ‘Jack the Stripper’ murders of eight working girls, committed in west London between 1959-65 and never solved. All these women lived and/or worked around the streets of Ladbroke Grove, where I have resided for 25 years. Nowadays it is one of the most salubrious parts of London, but then it was the biggest red light district in the capital. I was so haunted and disturbed by Seabrook’s book that I felt compelled to write my own version of the story – to try and work out a more plausible solution for these crimes than those presented in Jack of Jumps, and the handful of others also written about the case, and more importantly, to attempt to give back these women their voices. As I mentioned before, music was essential to getting me back into this post-War, pre-Swinging London. The first thing I did was to look up what record was number one in the singles charts on the day when each woman’s body was found. That provided a very spooky and suggestive soundtrack in itself, and every chapter heading in that book is either one of those, or another single that came out around the same time. I also took some advice from David Peace, who is the most evocative writer I think I have ever read, who once told me about the art of ‘method writing’, whereby you read as many newspaper articles and popular fiction, as well as historical books, watch as many films and archive TV programmes (the BFI Mediatech on the South Bank was excellent for this, and it is completely free) and listen to as much music of the time as you possibly can – then one day, there will come a moment when you feel you are ‘there’. It happened for me watching The Blue Lamp, where Dirk Bogarde plays a juvenile delinquent being pursued by Jack Warner, in his first incarnation of Dixon of Dock Green, along the Harrow Road then and down Ladbroke Grove. As they reach this junction, the camera pans up and over the top of the buildings and you see… no Westway, no tower blocks, the bombsites still all around – the Ladbroke Grove the people in my book would have seen. It was a truly magic moment and from then on, I was in that world when I was writing. It used to be quite surprising when I would look up and out of the window and see the world in colour, as the world in my head was completely in black and white. So, this is another method I would recommend. Weirdo was much easier – that was the Norfolk of my youth. I just had to open the old memory hole, and that was made possible by listening to the music I was so into at the time. My friend Ben gave me a copy of Ocean Rain by Echo and the Bunnymen for my birthday, just as I was starting to write it, a record I hadn’t listened to in ages but that I played to death in 1984. That was it, the time tunnel had opened! What methods do you use to try and capture the voice of each of your characters? Again, watching a lot of film and TV from the relevant period, and reading the popular press and fiction of the age will give you the hang of the different ways people spoke in the period you’re researching. Slang is very important as it changes so rapidly and so is very useful for giving a proper flavour of the times. In crime fiction it can also be pretty funny. In James Curtis’ books of the Thirties, ‘having it off’ and ‘screwing’ are terms that are applied to the work of burglars. By the time of Derek Raymond’s first book, 1962, set in a similar criminal milieu and with it’s own glossary of argot, these terms have come to mean what we are familiar with them meaning today. Whereas, the term ‘You get me?’, which seems very modern and very much what the budding young gangster of today might enquire to make sure he was being properly understood, was also common parlance in the Thirties but then slipped out of usage for many decades. I personally am looking forward to the day that the word ‘cowson’ comes back into fashion. This was a perennial Cockney insult right up until the Seventies, when Chas and Dave seem to have been prevented from uttering it while performing their classic Gertcha ‘cowson’-less on Top of the Pops. That seems to be the last recorded usage of it. 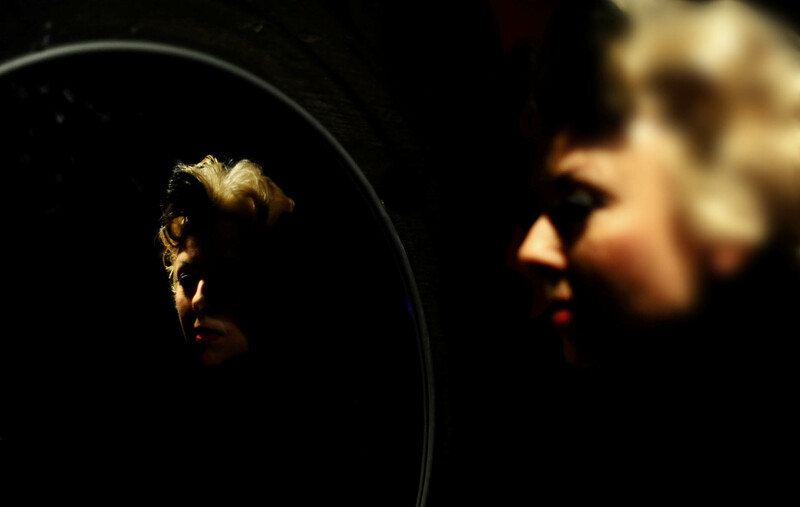 We hear the term ‘noir’ used a lot in relation to your work. What does it mean to you? And how does it infuse your fiction? As Derek Raymond would call them, black novels or noirs are distinct from mainstream crime fiction in that they are not written as entertainments, but to try and understand the causes and machinations of evil – seeing the crime in all its surroundings, the sociological factors of the time and place when it was committed and how they impact. People say we get the crime we deserve and the police we deserve, and to understand why that is you need to delve into the mores and morals of the contemporaneous society. History is a subject that has not been taught very well for the past three decades, which I think is a wholly deliberate suppression of knowledge and therefore of power. I am very interested in the hidden histories of our times, to find the unsung heroines and heroes as well as the villains. 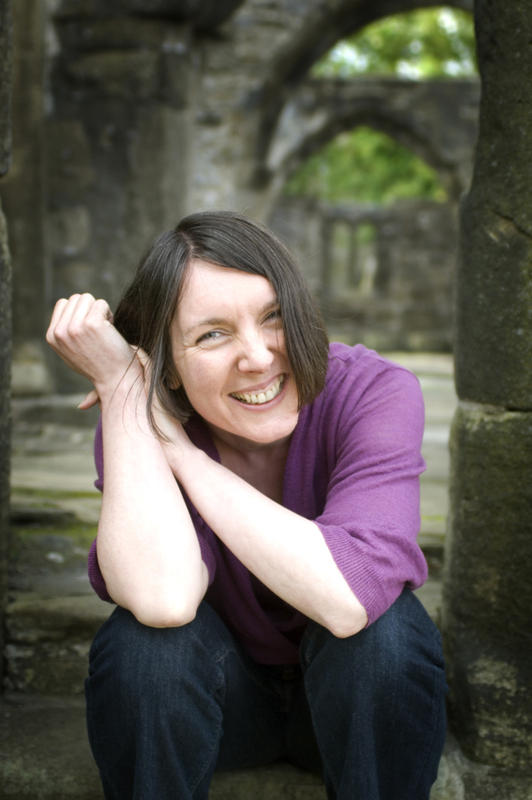 I use my books to try and ask questions about why our society is still so unfair and unjust, particularly towards women and children – and why there is, and continues to be, this gulf of empathy between us. I am just piecing together the beginnings of a novel that starts in 1940. I am very keen to write about the Blitz in London, and all the illegal activity that flourished under the blackout. I want to get down the time tunnel again! I’d love to not have to have a day job and to be able to make my living from writing and related activities. That’s really all I could ask for. Keep buying those records, girl – they’ll get you out of here in the end! Many thanks for reading and commenting, Stephanie. If you can email me your details I’ll make sure that a book is mailed to you (my email address is on the home page of my website). Enjoy! Hi Stephanie, if you can let me have your details I’ll make sure that we get a copy of Cathi’s book to you. Thanks for commenting!